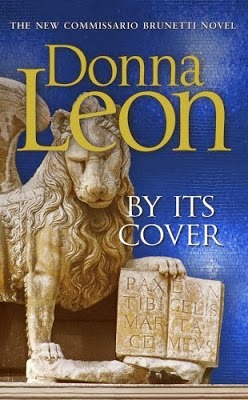 Donna Leon's latest Guido Brunetti story, By Its Cover, is due out in a couple of months (I read it as a NetGalley digital preview). Regular readers of this series know these characters so well that Leon would only need to sketch them in, but she doesn't do that: she draws out their extended portraits anew without being redundant. 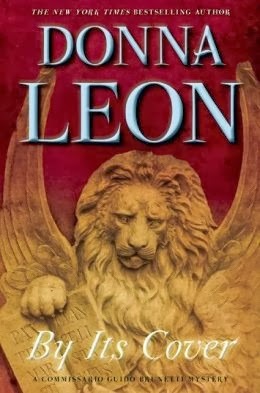 As for the plot, we know what the story arc is likely to be (Leon is pretty pessimistic about the Italian justice system) but she continues to surprise (and even, in the seeming effortlessness of the writing, to surprise herself). By Its Cover begins not with a corpse but with stolen and vandalized books, in a rare book library that has been looted like too many other sites of Italian cultural heritage. The case seems clear, but hopeless in terms of gaining restitution of the books and book pages or punishment for the evildoer. Rare books and illustrative pages from them are often stolen on order by thieves acting as the agents for hidden collectors. In addition to the usual cast of characters in Brunetti's professional and private life, there are staff members at the library, a shadowy ex-priest who has been using the library as a refuge and reading room, and other temporary and permanent denizens of Venice. When a corpse is discovered (as it must inevitably be in a crime novel, after all) the story veers in a tangential direction that will ultimately lead to at least one of the books perpetrators: and the very quick resolution at the end of the novel seems both unexpected and inevitable, casting light not only on the facts of the case but on Brunetti's own complex morals and motivations. A female detective who is relatively new to the series but gaining in importance forces him to act in a way that simultaneously confirms and casts doubt upon what we know about Brunetti and what we think of him. One of the virtues of these books is that their length is very appropriate, unlike some crime series that either start at encyclopedic length or veer in that direction as the series itself lengthens. the Brunetti books are hefty enough to carry story, characterizations, deeply felt settings, and confirmations about all of the above for regular readers, but short enough to satisfy without taxing our strength, endurance, and ageing eyes. Regarding the 2 covers reproduced here, the U.S. and U.K ones, both take the same idea regarding the setting and subject matter, but one of them, I think, puts the material more in proper focus (or framing).